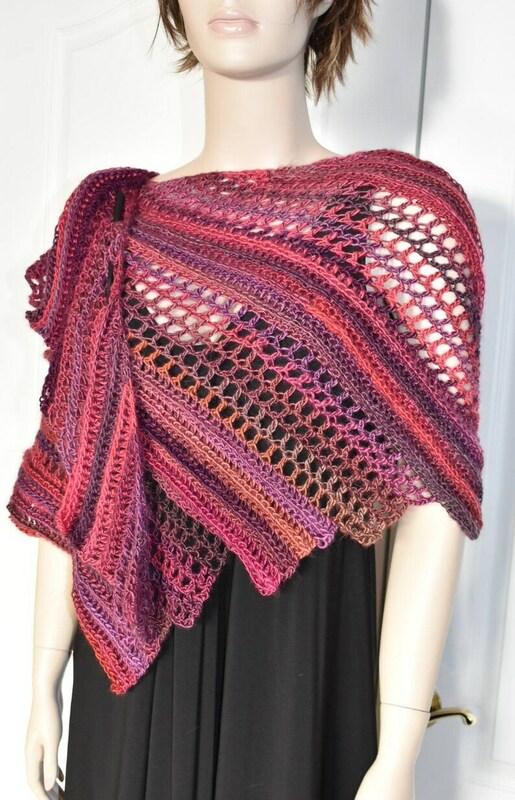 This is a large crochet shawl, ruana, wrap, or scarf in a soft pink, magenta, orange and purple yarn. 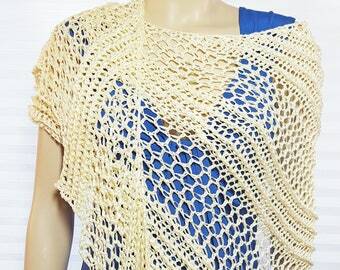 It's versatile design allows it to be worn multiple ways. Imagine it being worn over a festive outfit to a special event, wedding, party, luncheon, cruise or even on an evening out! 50" inches long at tallest end. 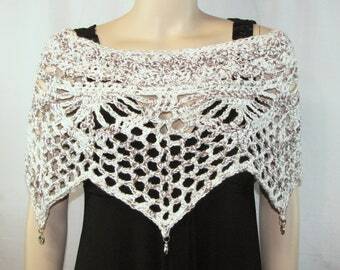 Washing this shawl shouldn't be necessary but if it's ever needed, it's best to wash by hand and lay flat to dry. 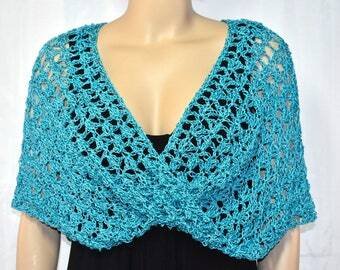 I'd also be happy to make multiple versions for any event where multiple matching or coordinating shawls are needed!